The CM ad-changer plugin turns your website into a WordPress ad-server, through which you can manage banners and distribute them across multiple client side websites. You can install the client-side version of the plugin on each of the websites you publicize in by entering a simple shortcode, while creating, customizing and rotating multiple advertising campaigns and banners from one central WordPress ad-server- your website. The client-side of the CM Ad-Changer plugin provides an ad management control panel that connects with the server-side plugin. Use the client configuration to connect and retrieve settings from your WordPress ad-server, and receive instructions about which banner ads to display, where to display them and when. Administrators using the client side configuration will also receive custom reports for managing banner ads on their particular website. The CM Ad-Changer client-side interface is simple and easy to use. It includes settings to customize banner css, control responsive settings and more. 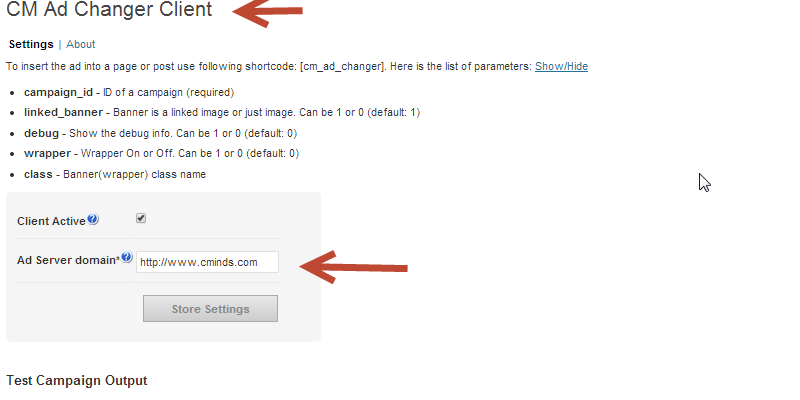 Embed a shortcode in your html for your banner ad campaign to output specified banners within any post or page editor. Simply insert the shortcode according to its specified unique advertising campaign ID number. 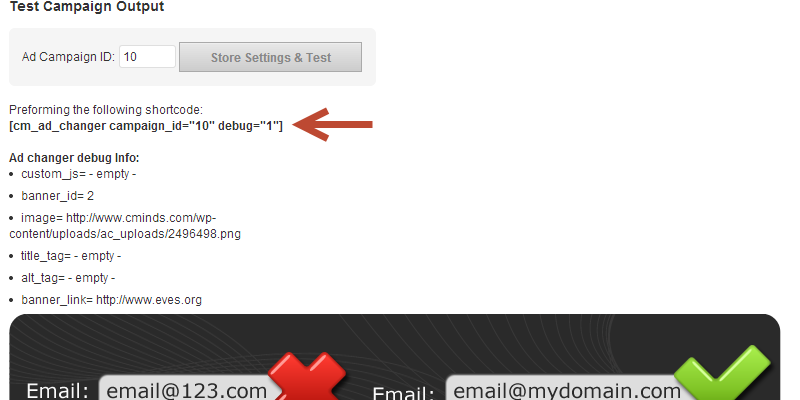 Shortcode insertion options also support using custom css styles.